Despite they were already seen in the relegation battle before the start, the Hornerts made some great results that launched them in the top half of the table. Young players, combat spirit, attacking style with excellent leadership by Malky Mackay are Watford this season. However, they started to losing their breath lately. First Scunny took all three points from Vicarage Road, then they get trashed at Derby in the last round (1-4). Striker Danny Graham, should be fit, but defender Hodson and winger Cowie are sidelined. Watford have won only two of their last 11 home games against Forest. 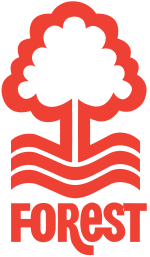 Forest (as any team under Billy Davies) are well known “slow starters”. Differently from previous seasons, after run of draws they noticed two defeats on the road Barnsley 1-3 and Portsmouth 1-2 (and two wins at home though). Good excuse could be missing of attacking duo Tyson – Earsnshaw. Both were on the bench in the last round, Earnshaw will start today’s game. They were second rated favorite for winning the Championship, nothing has changed in their potential and I expect them to make a winning streak very soon. No injury concerns for Davies. Watford had a surprising start which probably will make their mission easier to accomplish. But for me, they’re still relegation contender and expect their fall on the table. With Forest, situation is completely opposite. I cannot exclude a possibility of another draw, but see visitors as favorites here.